My latest blog post from the IMA website is re-posted below! Bosch argues that the uproar around this Wikipedia entry exemplifies the gender gap of Wikipedia users. 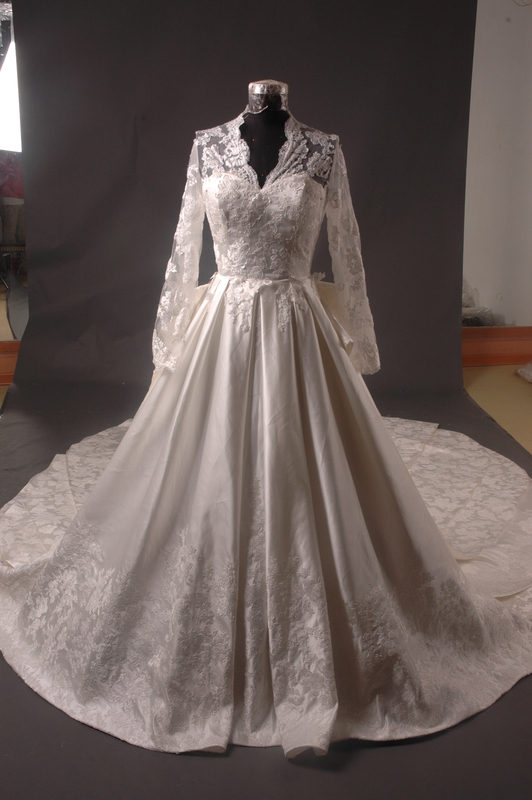 And of course, Middleton’s wedding dress is a valid Wikipedia article — she is increasingly becoming an important fashion icon and her dress is adding to the history of fashion. According to a Wikimedia survey from 2011, only 9 percent of Wikipedia editors are female– 9 percent! That’s an astonishing low number. Wikipedia states that they would like to increase the percentage of female editors to 25 percent. A leader in this effort and the current Wikimedia Foundation Community Fellow, Sarah Stierch, has organized a couple of “Wikipedia edit-a-thons” where women get together and create new articles about women in history using Smithsonian records. As I read this article, I tried to think about my relationship with Wikipedia. I have never created or edited an article, yet I use Wikipedia daily. It never occurs to me to add to this great body of knowledge. As a member of the minority on Wikipedia, I feel like it is important to get involved in this process. Now, let me try to bring this around to art conservation and the museum profession in general. WikiProject Public Art. Logo designed by Michael Mikulay. Though it’s documented that women do not contribute to Wikipedia, it’s hard to know how many female art conservators are contributing – I’m guessing maybe one or two, if any. Anecdotally, I know that most art conservators are female, and that the membership of American Institute for Conservation (AIC) is greater than 3,000 so this seems like a good base to look to for contributors. I should also point out that AIC created its own wiki site that has some good information in it, but the information in there is not easily found by search engines. While the AIC Wiki could be useful, I’d like to suggest that art conservators start adding their knowledge directly to Wikipedia. I think we’ll all agree that it is much more reliable than it used to be. Imagine if as a profession we added our knowledge to Wikipedia, how much we could help improve the readily-available information about caring for collections (and we’d be making a significant dent in the gender gap along the way)! For a profession that is as relatively obscure as ours, and one dedicated to preserving our cultural heritage, it’s important to make our knowledge as accessible as possible, and a crucial way of accomplishing this is to contribute to Wikipedia articles on conservation. One way to do this is to start documenting discreet collections of artworks by individual artists. For example, what if we had Wikipedia articles about every Van Gogh ever painted, that included correct information about all of the pigments he used, and the different kinds of canvases or supports he painted. That would be useful and interesting for conservators and art lovers alike. Or, we could do all of the pieces by Judy Chicago, or Louise Bourgeois. INCCA-NA has taken this idea and started the Artist Research Project. Their first artist is Tony Smith, whose 100th birthday is in September of this year. 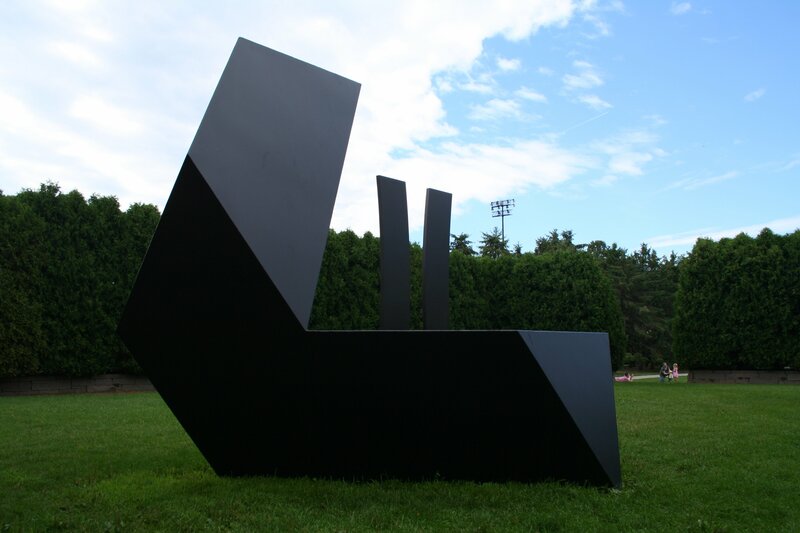 Smith is well-known for creating large-scale outdoor sculptures around the world. This project was recently mentioned in the New York Times “Arts Beat”. Find the Tony Smith sculpture closest to you. Document it by creating a Wikipedia article about your artwork. Upload those pictures to Flickr. Add those pictures to the Tony Smith Flickr group. Tell people what you did! For more detailed information about the project, follow this link. I see this as a kind of first effort, almost an experiment, to see if conservators and others that care about artwork can work together to create knowledge about a discreet collection. In the end, I think the sum of knowledge could be incredibly useful for conservators. 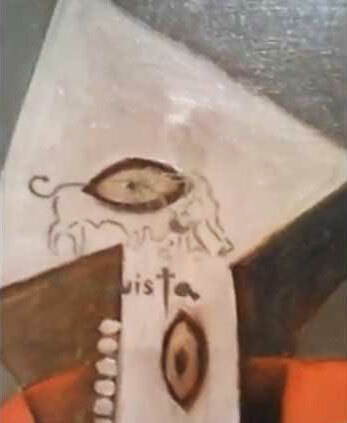 It would be beneficial to know all of the paint systems he used, the exhibition history of the artworks, and images of what the pieces look like right now. By contributing to Wikipedia articles on conservation, we can address both these issues at once: we can help bring attention to our discipline by coming to information seekers rather than requiring them to come to us, and, as a profession made up primarily of women (male conservators are welcome, too, of course! ), we can help to address the gender gap on Wikipedia. Though I was not able to attend the AIC Annual Conference in Albuquerque this year (due to final exams! ), I have been so pleased to be able to peruse the AIC website and read about all of the presentations. One that caught my eye was conservation work performed on Thomas Jefferson’s Secret Bible. 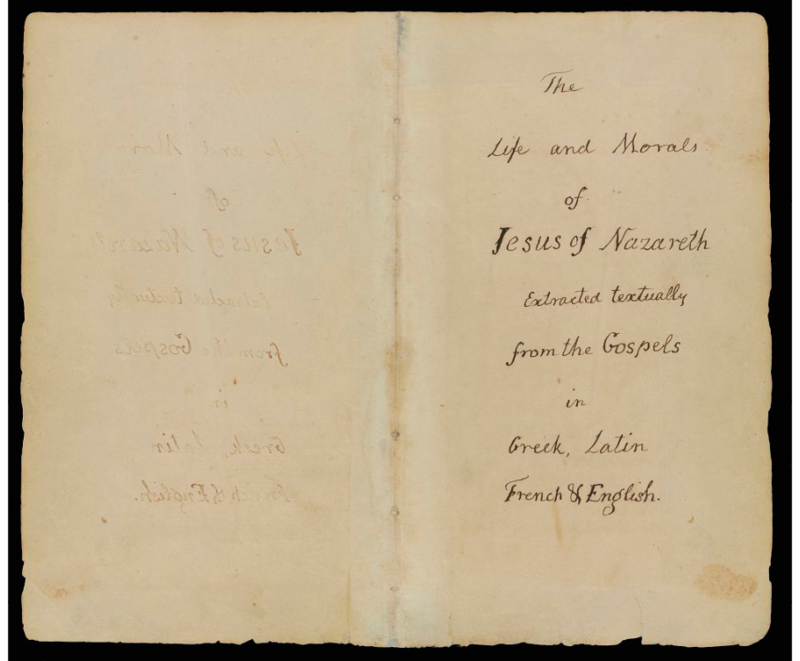 Janice Stagnitto Ellis, Senior Paper Conservator at the Smithsonian Institution National Museum of American History, along with Emily S. Rainwater, Post Graduate Fellow at NMAH and Laura A. Bedford, Assistant Book Conservator at NEDCC, worked on this 200-year Bible. The Bible, entitled “The Life and Morals of Jesus of Nazareth Extracted Textually from the Gospels in Greek, Latin, French & English”, has the most fascinating history, which is summed up quite well in an article in the University of Virginia Magazine. Jefferson was raised to be quite religious but questioned some aspects of Christianity as he grew older. He did not believe in miracles but was a devout follower of Jesus Christ. In 1804, he decided to create his own Bible by cutting out all references to miracles in the New Testament and pasting them together He then took these 84 pages to Frederick Mayo, a bookbinder in Richmond. The compilation is known today as Jefferson’s Bible. The Bible went to the Smithsonian Institution National Museum of American History to be conserved in 2011. The conservation work is, I am so happy to say, detailed on a site dedicated to the Bible, as well as in a three minute video. What an exciting project! I particularly loved learning about the organic and inorganic analyses. I’m so sad I missed this presentation but the conservators really put a lot of time and effort into giving the public as much access as possible to the work, through the website and video. Given this year’s AIC conference theme, outreach, hopefully we will see more and more institutions doing the same thing.